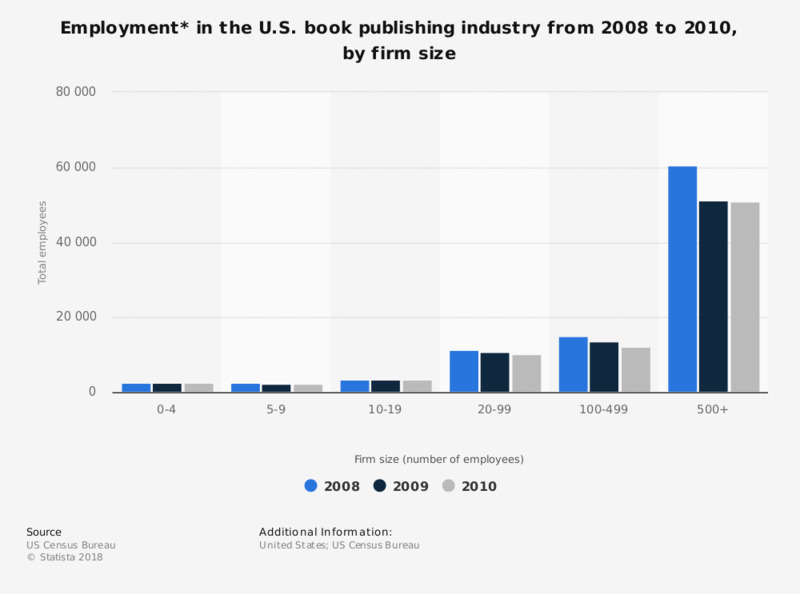 The statistic above presents employment data for the U.S. book publishing industry. In 2008, 60,597 people worked at firms with more than 500 employees in the book publishing industry. * Paid employment consists of full and part-time employees, including salaried officers and executives of corporations. Included are employees on sick leave, holidays, and vacations. Figures for 2008 and 2009 come from earlier "County Business Patterns" publications.